I’ve decided that I need to do a review on the golf courses that I play at since I seem to be playing quite a few different courses with the groups that I golf with. My first review will be tomorrow after we play Coldwater Golf Club in Avondale. Stay tuned! From the drive up, the course appears in great shape. Once I pulled into the lot, the attendant met me at my car to give me a cart to transfer my equipment to (nice touch). The staff inside and out was very friendly and helpful. Beverage cart girl was on duty and also very friendly. The driving range was a bit ratty with the tee boxes pretty chewed up and longer grass but balls were included in the price. Practice green was a bit small with only 5 holes (on the one by the range). Later I discovered that there was another practice range closer to the #1 tee box. 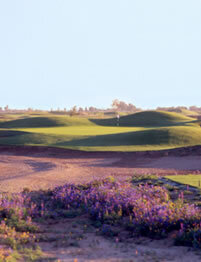 Once on the course, the fairways were in good shape and the layout was extremely friendly to all levels of golf. Most of the roughs were slanted to bring balls back into play. The greens on most holes were pretty well manicured but there were quite a few pock marks fixed and unfixed on them. Based on the green fees I would anticipate quite a few novice golfers and that accounts for the greens not being in the condition they were. Views of South Mountain make for some pleasant scenery as you navigate your way though the local neighborhood. I was a bit disappointed in the homes that face the course. I would have expected to see back yards that were better maintained and landscaped but instead it almost felt like a lower/middle class neighborhood. A few green pools dirt/natural landscape was the norm instead of the exception.